Fumo Birmingham has kicked off the New Year in style by winning ‘Restaurant of the Year’ in the 2015 UK and Ireland Les Routiers Awards. The chic restaurant and bar in Waterloo Street, owned by San Carlo Group, was recognised for consistently meeting and exceeding the Les Routiers’ membership standards and highlighted for its overall outstanding performance, as well as excellent customer feedback and reviews. 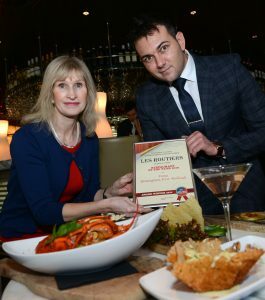 Tina Griffiths, Customer Service Executive of Les Routiers UK & Ireland presents the ‘Restaurant of the Year 2015’ award to Fumo Manager Marius Schuller. Fumo launched in Birmingham city centre in June 2012 and serves cicchetti – small dishes of Venitian tapas – and cocktails everyday from 11.30am until late. 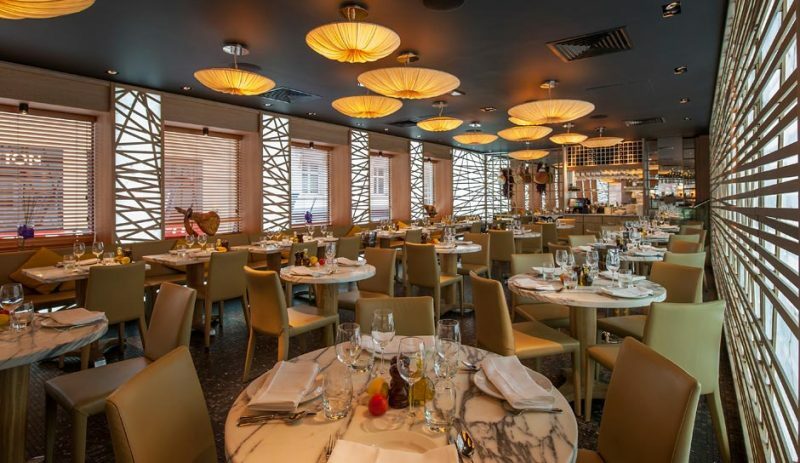 Why not treat yourself to an award winning meal at Fumo this January?